There are many beautiful places to sail in Croatia. This country is the land of a thousand islands and magnificent coastline. It is an ideal sailing destination. 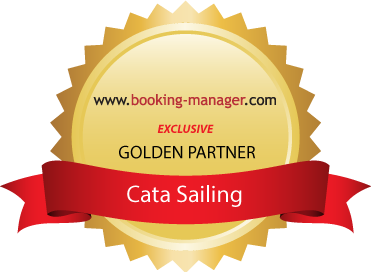 Croatia offers you favourable wind in sails and guarantees new adventures on the Adriatic sea. Here you can discover natural beauties, great swimming arias, history, architecture, incredible wine or delicious seafood. Croatia’s extraordinary coastline is without doubt its main attraction and there is no better way to explore it then sailing. Head to Croatia to revel in the warm weather, fresh breezes and UNESCO World Heritage sites. Croatia’s coastal towns are overflowing with the country’s unique culture and history. It has something for everyone’s taste, whether you dream of sunbathing on ravishing Zlatni Rat beach, partying in prestigious Hvar Town or discovering monumental Dubrovnik. The view from your boat will be stunning from dawn till sunset. Relax and enjoy the scenery of places to sail in Croatia. Onshore, the Dalmatian Coast is a haven for sightseers and hikers alike, with the nation’s numerous national parks. We have selected for you some of the most known places to sail in Croatia that are definitive must see during your sailing holiday in Croatia. Kornati islands are very attractive Croatia charter destination. They are the symbol of real heaven for sailors.The Kornati Islands are a collection of hundreds islands. They are scattered like pebbles along the northern Dalmatian coast. In addition the islands diverse for their beauty of landscape, immense natural bays, „wild“ ports, coastlines and preserved marine ecosystem.